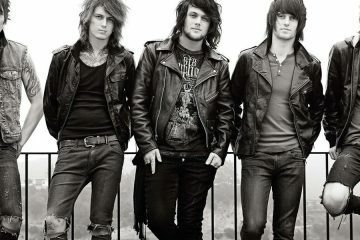 “Let It Sleep”, the new video from ASKING ALEXANDRIA, can be seen above. The song is taken from the band’s new album, “The Black”, which will be released on March 25 via Sumerian Records. The group once again teamed up with renowned director Ramon Boutviseth (DREAM THEATER, NONPOINT, VEIL OF MAYA), who helmed ASKING ALEXANDRIA‘s video for “The Black” title track. Life is all about how quickly you get back up. 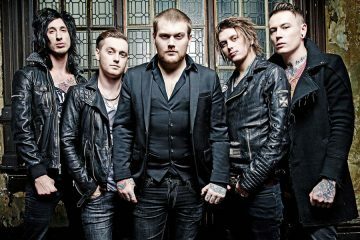 In January 2015, everything changed for ASKING ALEXANDRIA. The chart- topping, gold-selling U.K. hard rock outfit parted ways with singer and founding member Danny Worsnop. On the outside, the future might’ve seemed uncertain — even grim — to some, but Ben Bruce (lead guitar, vocals), James Cassells (drums), Cameron Liddell (rhythm guitar) and Sam Bettley (bass) dusted themselves off, lifted their chins, and got right back up. In order to properly do that, the band actually turned to a fan. 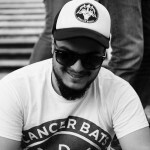 Ukrainian singer Denis Shaforostov gained notoriety posting ASKING ALEXANDRIA covers on YouTube and consequentially inked a deal with Sumerian in his band DOWN AND DIRTY. Bruce shot him an e-mail one night. 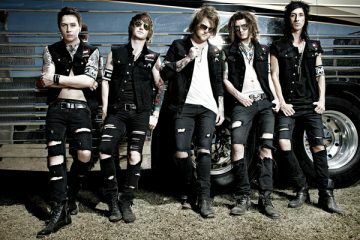 The next day, a new ASKING ALEXANDRIA song had vocals and a new era in the band’s history took form.